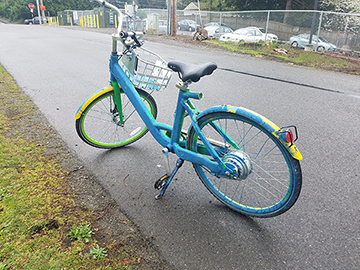 Some folks have their own ideas about what a LimeBike should and shouldn’t look like. And some of those folks take matters into their own hands. 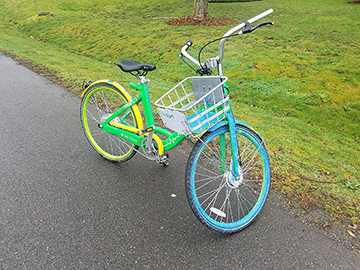 This is what LimeBikes are supposed to look like. 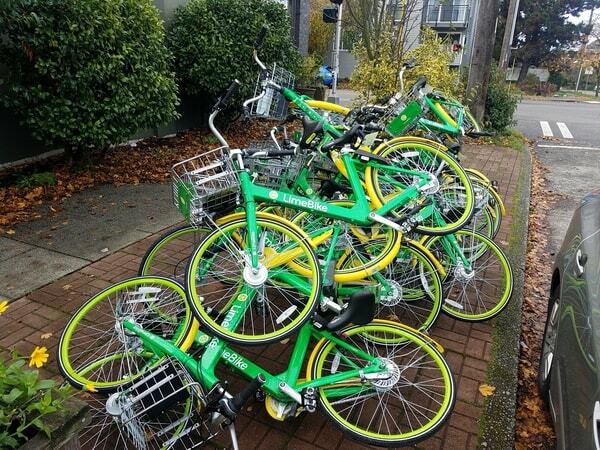 All neatly aligned waiting for you to hop on one and ride away. You might ask yourself, art or protest? Is this a one-time occurance or are pranksters going to start doing this all over town? Worse yet, will this catch on and start to happen all over the country? 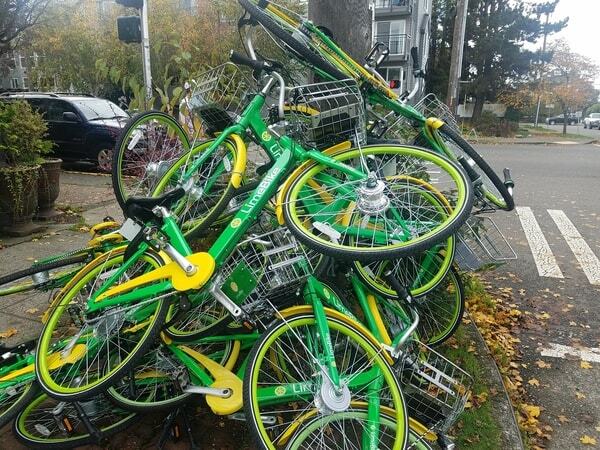 Either way, as a Lime Bike worker bee, your day just went from bad to worse. Oh wait. This is the next day. 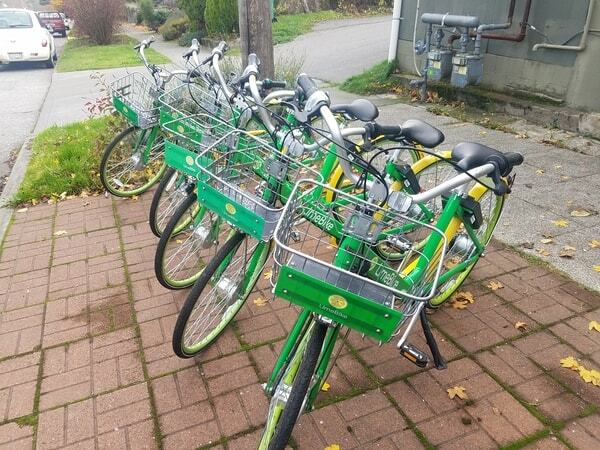 Looks like LimeBike sculptures are the new thing in Phinney Ridge.